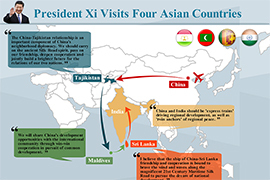 Chinese President Xi Jinping on Friday made a four-point proposal for the development of the Shanghai Cooperation Organization (SCO). China and Kazakhstan on Friday vowed to beef up economic cooperation by jointly implementing the Silk Road Economic Belt initiative. China and Turkmenistan on Friday vowed to deepen energy cooperation and jointly build the Silk Road Economic Belt. Chinese President Xi Jinping met with his Kyrgyz counterpart Almazbek Atambaev here on Friday, calling for enhanced cooperation with the Central Asian country on border control and anti-terrorism. Leaders of member countries of the Shanghai Cooperation Organizations (SCO) on Friday pledged joint efforts to fight against any attempts to revive fascism. Leaders of the member states of the Shanghai Cooperation Organization (SCO) called on Friday for an early restoration of peace in Ukraine. 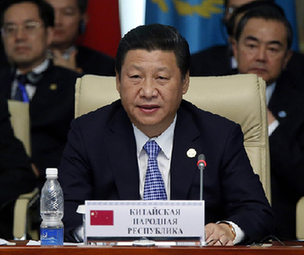 Chinese President Xi Jinping proposed Thursday to construct an economic corridor linking China, Mongolia and Russia. 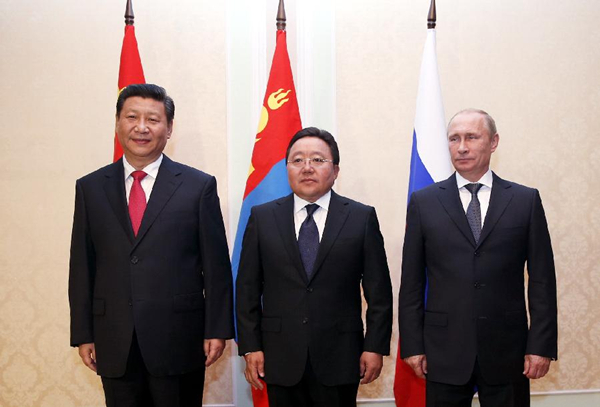 The 14th meeting of the Council of Heads of State of the Shanghai Cooperation Organization (SCO) was held in the Tajik capital on Friday. Chinese President Xi Jinping and his Russian counterpart, Vladimir Putin, met in Dushanbe Thursday ahead of the 14th summit of the Shanghai Cooperation Organization (SCO).